﻿﻿﻿﻿﻿﻿CLVP-BC brings together professionals trained in Ophthalmology, Optometry, Orientation and Mobility, Assistive Technology and Education. 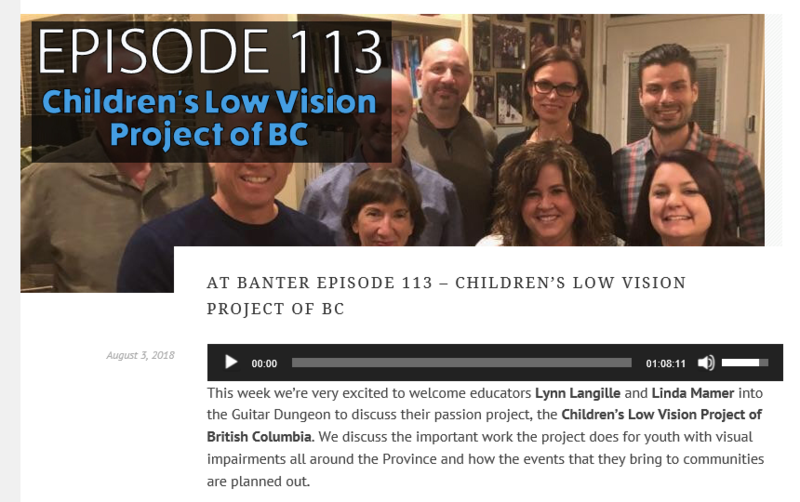 The team evaluates each child, prescribes and dispenses low vision devices, and makes recommendations to support the child, their family, teachers, schools and other professionals working with the child. ﻿﻿﻿﻿﻿﻿﻿﻿﻿If you would like to refer a student to a CLVP clinic, please fill out the Online Referral form. Has your child been approved to attend a clinic? “Colton told me he didn't think many cared he was blind, but on that day everyone wanted to help him see better."